changes to the project to enable the game to be deployed and played on your Xbox 360.
more advanced code such as the SpaceWar starter kit. game this simple, but it was incorrect. The correct thing to do was convert to XNA Vector2 structs and this has been corrected in the article and the code for part 1.
available in the XNA framework. 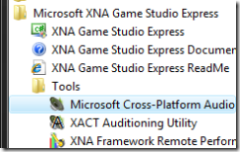 exposed in the Microsoft.Xna.Framework.Audio namespace in the XNA framework. as Admin. 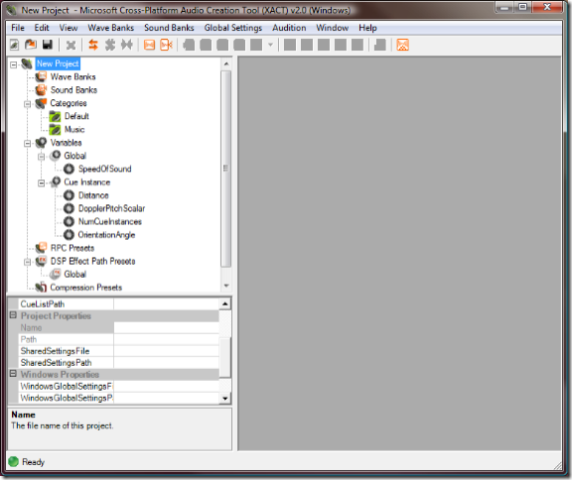 A future release of XNA Game Studio Express will make everything compatible with Vista. This contains the ‘cues’ that you, as the programmer, will play. 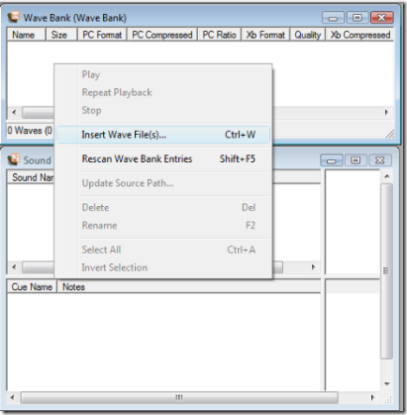 and drop from Windows Explorer into the wavebank window. which just contains a single wave file. 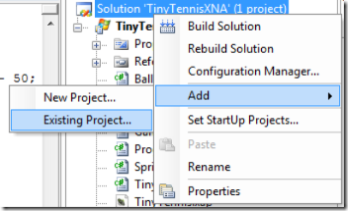 Now save the XACT project as TinyTennis.xap in the project folder. that _beep and SoundPlayer are used. still have to remember to add a file to both projects when you make a new file but that is a simple drag and drop operation. files that are missing but that doesn’t matter as we will add our own. you have to do to keep in sync is remember to drag and drop any new files if you add them to one of the projects. and deploy when you really wanted to debug the windows one. appear in the expected place, but the game is still playable. To quit the game on the Xbox 360 press the ‘back’ button on gamepad 1.